When and why would you use URL encoding? When data that has been entered into HTML forms is submitted, the form field names and values are encoded and sent to the server in an HTTP request message using method GET or POST, or, historically, via email. The encoding used by default is based on a very early version of the general URI percent-encoding rules, with a number of modifications such as newline normalization and replacing spaces with "+" instead of "%20". The MIME type of data encoded this way is application/x-www-form-urlencoded, and it is currently defined (still in a very outdated manner) in the HTML and XForms specifications. In addition, the CGI specification contains rules for how web servers decode data of this type and make it available to applications. When sent in an HTTP GET request, application/x-www-form-urlencoded data is included in the query component of the request URI. When sent in an HTTP POST request or via email, the data is placed in the body of the message, and the name of the media type is included in the message's Content-Type header. Need to manage URL encoded (also called Percent-encoded) format? 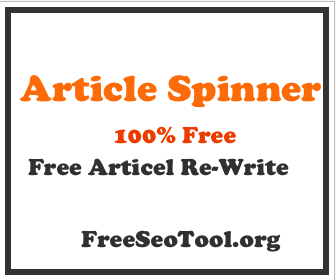 Free Seo Tool has created URL Encoder/Decoder tool for You! Use this user friendly to decode or encode Your information. What this tool does is that it encodes or decodes a string utilizing URL Encoding. URL Encoding is utilized while setting content as a part of an inquiry string to avoid it being confused with the URL itself. It is regularly used when the browser sends form data to a web server.